This Aug. 23, 2018, file photo shows David Hogg, Parkland shooting survivor and activist, give an interview in Massachusetts before the kick-off of the March for Our Lives 50 Miles More walk against gun violence. Mayors across the country are teaming up with the anti-gun campaign March for Our Lives to help boost voter registration among young people, one of the group's founders said Thursday morning. David Hogg, the former Marjory Stoneman Douglas High School student who became a gun control advocate in the wake of the massacre there, revealed the new Mayors for Our Lives initiative along with New York City Mayor Bill de Blasio in an appearance on MSNBC's "Morning Joe." Fifty mayors, Democrats and Republicans, have joined with Mayors for Our Lives, which aims "to register a new generation of voters," Hogg said, especially on National Voter Registration Day on Sept. 25. 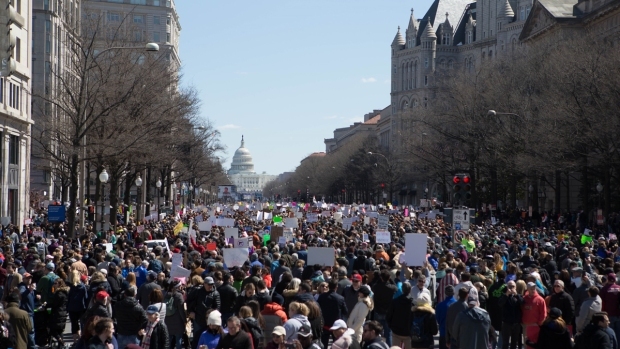 Along with de Blasio, the mayors of Los Angeles, Philadelphia, Houston and Washington, D.C., are among those who have signed up, according to a March for Our Lives web page. See the full list here. "Fifty-plus mayors united in the concept that we're going to reach younger folks, students even at high school level," de Blasio said. "They're going to be game-changers in our society." Mayors who join pledge to offer resources to support the National Voter Registration Day and to make voter registration forms available to eligible students in their cities. Hogg and March for Our Lives drive have pushing to register young people to vote across the country, animated in large part by school shootings like the one at Stoneman Douglas. Hogg said Wednesday that young voters were one factor in Tallahassee Mayor Andrew Gillum, who is not on the Mayors for Our Lives list, upsetting a more established candidate to win Tuesday's gubernatorial primary in Florida. 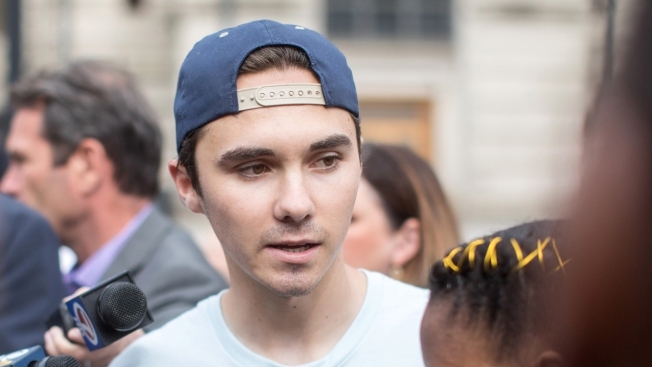 Young people and people of color "are turning out and polls are not registering them," Hogg said. He added that young people want politicians "that bring people together and don't divide us more."